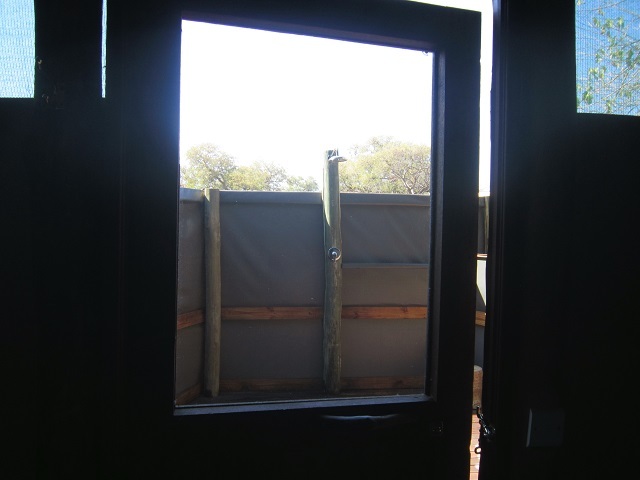 Safariing is serious business in Botswana. 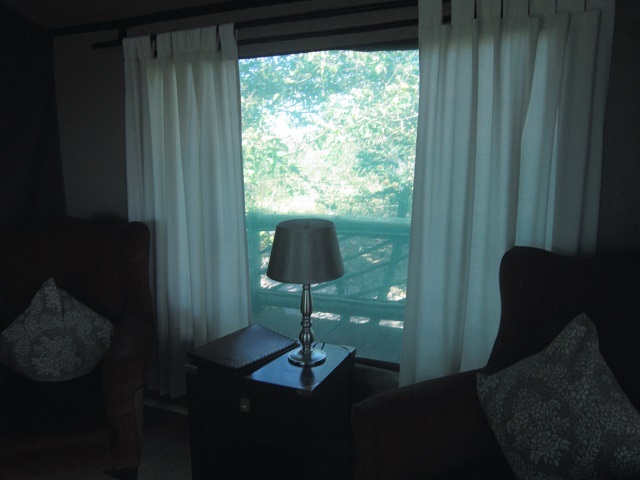 Due to the vast expanse of wilderness and wildlife throughout the country it is a tourism industry’s dream. However, the government carefully and brilliantly regulates the industry so that it is eco-tourism at it’s best. The main aim of the industry is to provide limited access to the natural bounty that Botswana offers while providing employment and economic benefits to local communities. 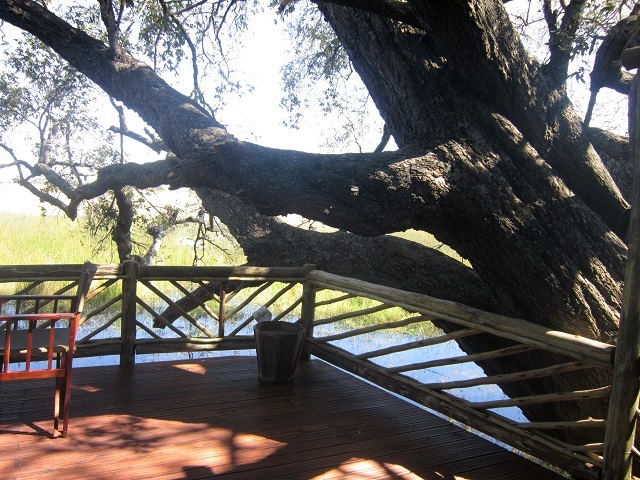 Although Safari lodges are plentiful across the country giving you ready access to all of the main areas of natural beauty and wildlife, these lodges are built to prevent leaving any permanent impact on the eco-system they inhabit. 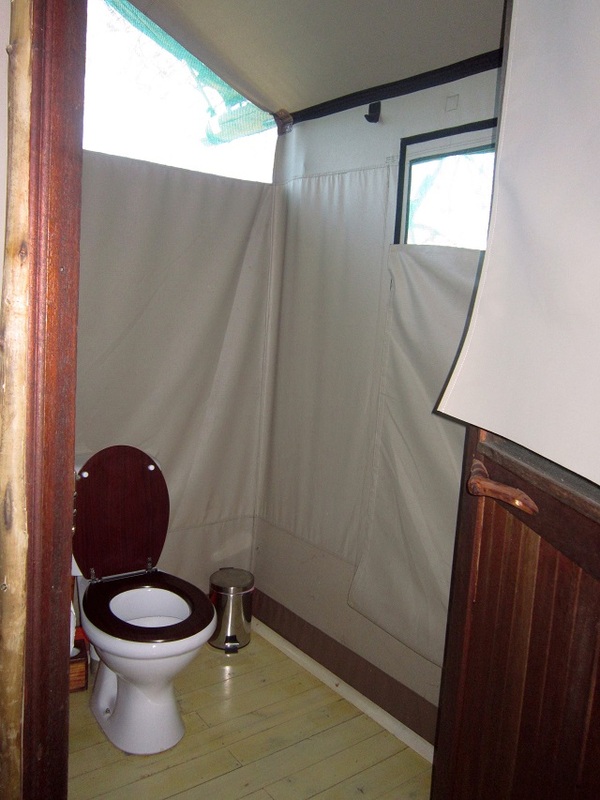 Lodges never house more than 8 or 9 units for guests. All of the food is prepared on site using foods readily available where possible and I have yet to have a terrible meal in any of these places. Local residents fill the staff positions where possible. All in all I believe that the government has certainly gotten this sector of the industry right. Camp Pom Pom certainly has gotten it right! Other than the Bushman Lodge in Ghantz nothing else can top my experience at this camp. Just when I think that I simply can not top my last wonderful experience along comes a whole new adventure that whisks me away to a land of happiness that I didn’t think was possible. 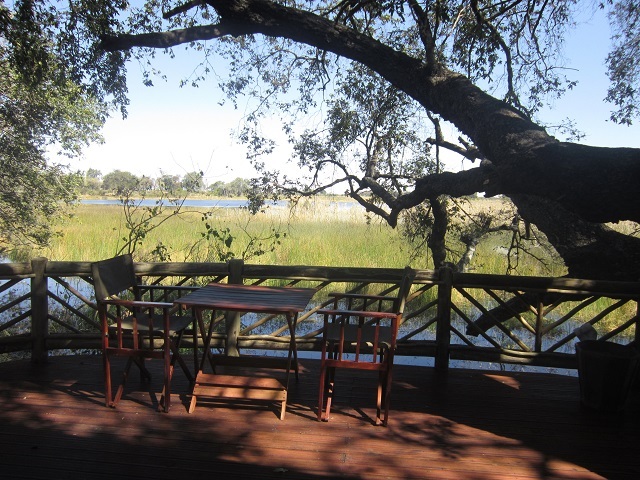 This camp is located on it’s own section of island in the middle of the Okavango Delta. 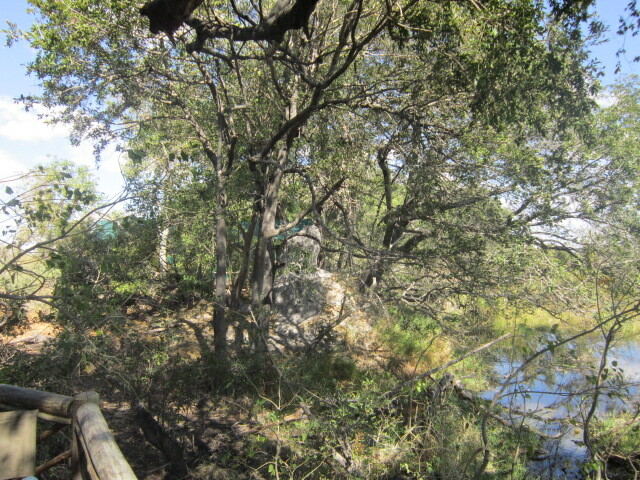 It is a private concession camp which means that the land is leased from the government and all of the animals and wildlife who live there roam absolutely free. 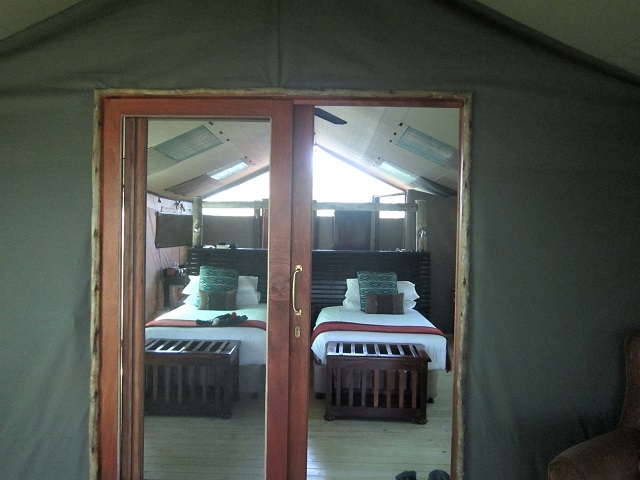 The camp is smack dab in the wetlands and is surrounded by flood planes, grasslands and huge tracts of desert. Truly a magnificent sight to behold. Upon arrival at Camp Pom Pom, we were greeted by female staff members singing as we drove up! Talk about a warm welcome. But this was just the tip of the iceberg on the hospitality that awaited us at Camp Pom Pom. 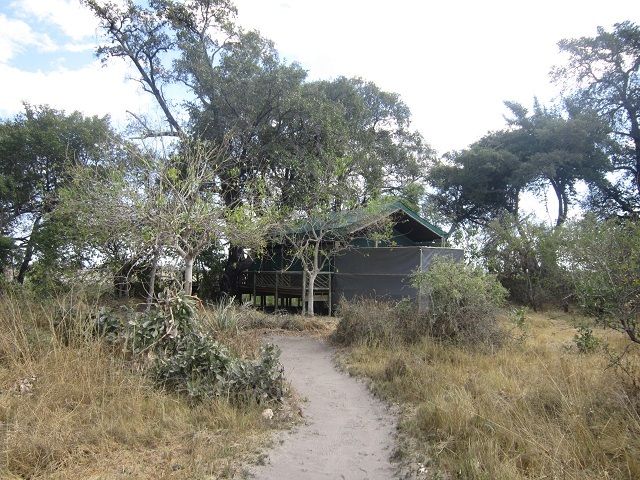 After receiving the security briefing by Baloo, the Camp Manager who advised us that we were smack dab in the middle of the wilderness with wild animals roaming at will through the lodge, we were escorted to our home away from home Bush Tent #6. 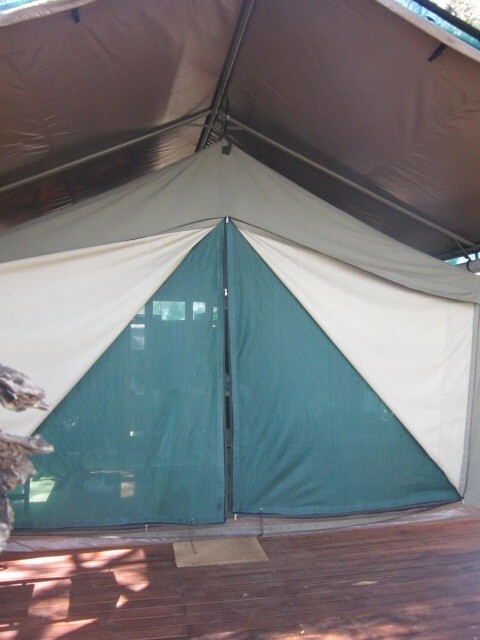 The lodging at Camp Pom Pom consist of nine permanent tents and a central lodge area where the meals are served and the bar is always open. Truly it is ! You are allowed, actually encouraged to walk up to the bar and accompanying fridge to help yourself whenever you want. 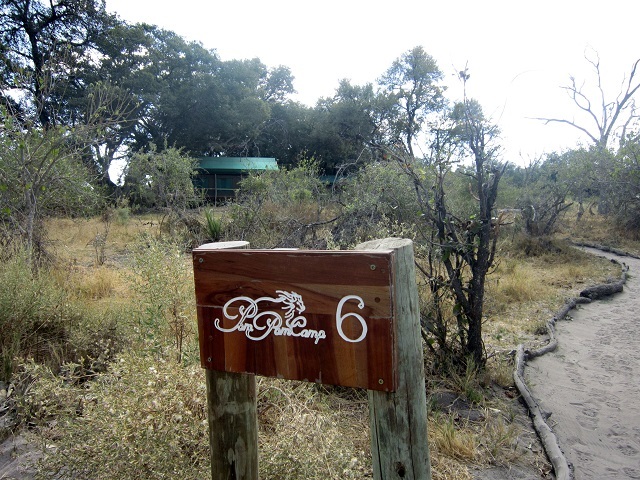 Your package includes everything at Camp Pom Pom and it isn’t just a safari of wildlife. 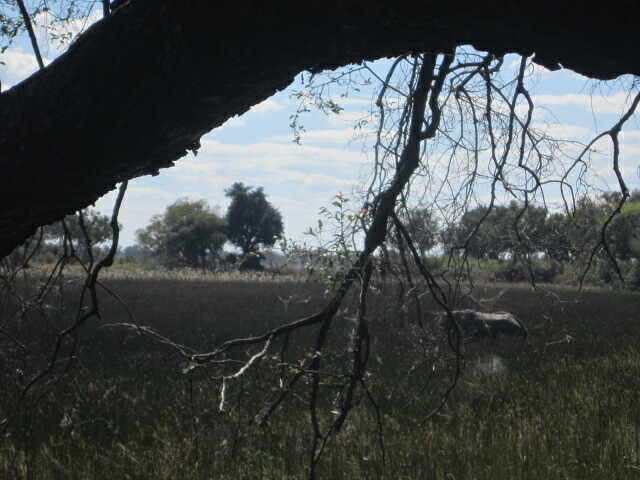 It is an eating and drinking safari as well. But much more on that later. I don’t know about you but my experience tenting certainly has never included all of the amenities that this camp offered. While the tents are canvas with permanent structures holding them up, what is contained inside was beyond what I expected. In fact, I could camp every day if I had a tent like this to do it in! 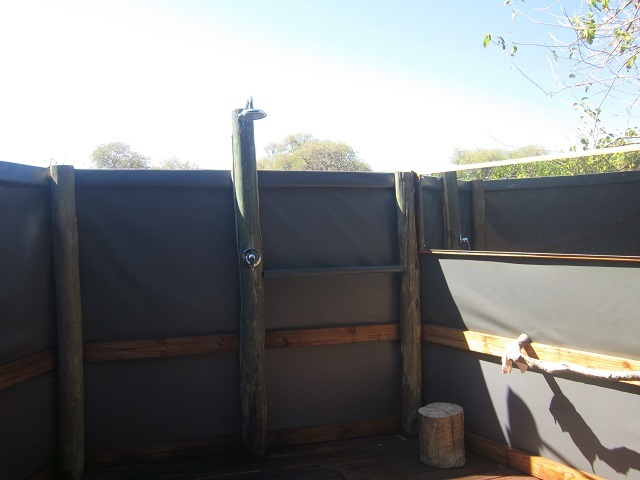 our very own outdoor shower so that we could shower under the stars at night if we wanted! Now can you see why I could camp all of the time with these amenities? Next Article Land of the Giants??? ?